The market recognizes that the indication by the FOMC at the end of last year that four rates hikes in 2016 may be appropriate was far from the mark. At the same time, investors are coming around to the prospects that the Fed is not one and done either. A key issue for investors and policymakers is what is the terminal rate for Fed funds. 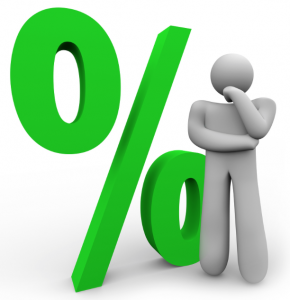 This terminal rate is what economists call the natural or neutral interest rate. It is the rate that is consistent full employment and capacity utilization and stable prices. In June, the Fed’s dot-plot pointed to a long-term equilibrium rate (natural or neutral rate) of 3%. It has been steadily revised lower, which is one of the most important signals from the Federal Reserve. The San Francisco Federal Reserve’s latest letteraddress this issue. The analysis is interested in what economists call r* (r-star). It is the natural rate adjusted for inflation or real rate. The current estimate is that it is near zero. It is expected to rise gradually. Historically, there is a strong statistical relationship between the growth of potential GDP and the real natural rate, of r*. A 2% growth rate of potential GDP translates to about a 1% r*. The post Natural Rates and Terminal Fed Funds appeared first on Silver For The People.